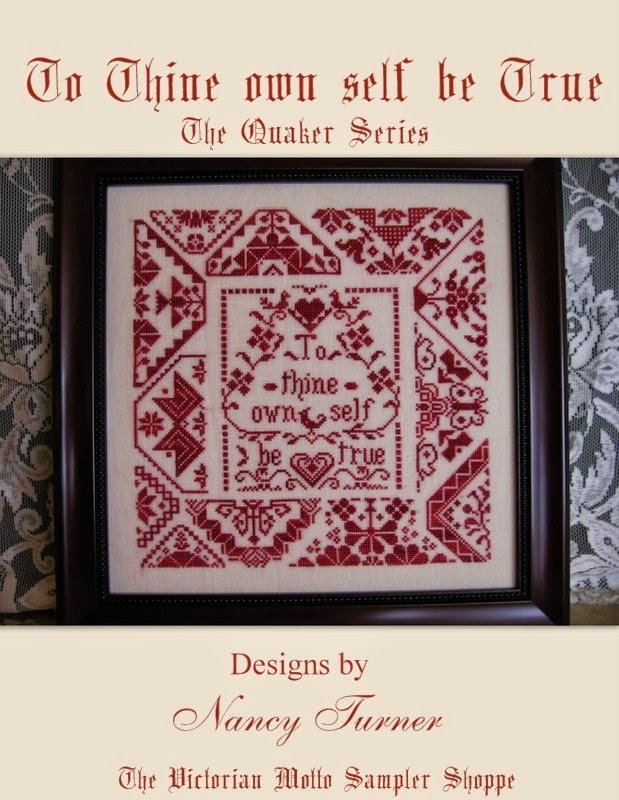 Victorian Motto Sampler Shoppe: Sampler pattern give-away for Christmas in July, enter now! 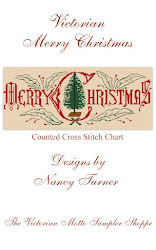 Sampler pattern give-away for Christmas in July, enter now! 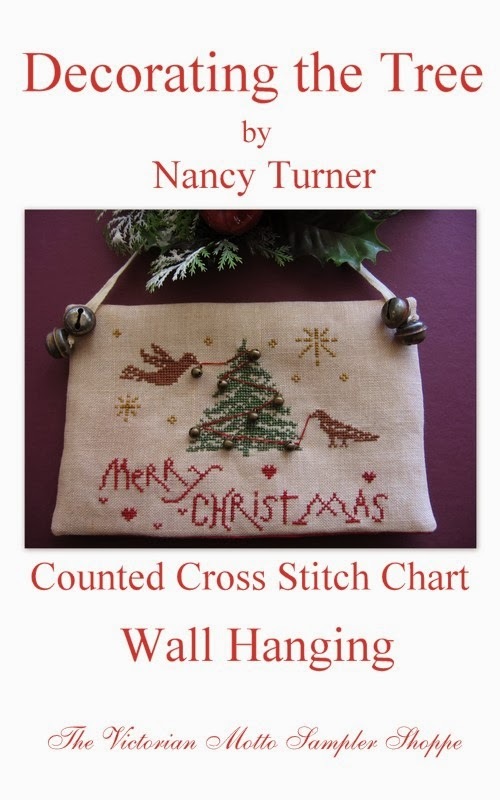 To continue with the Christmas in July give-away I thought I would give two lucky winners their choice of one of my sampler charts. 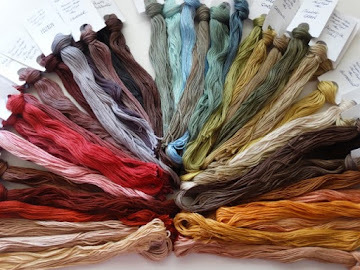 Dozens to choose from....large or small....a few have over dyed floss. 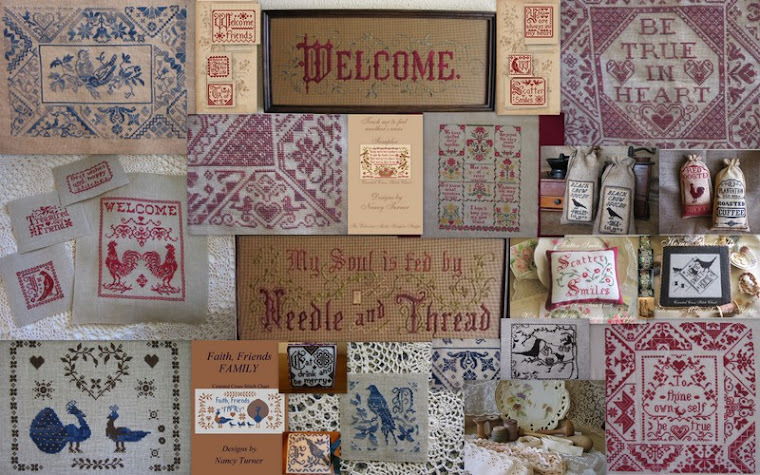 Here are just a few......you will be able to browse my store and tell me which pattern you would like if you are one of the lucky winners. 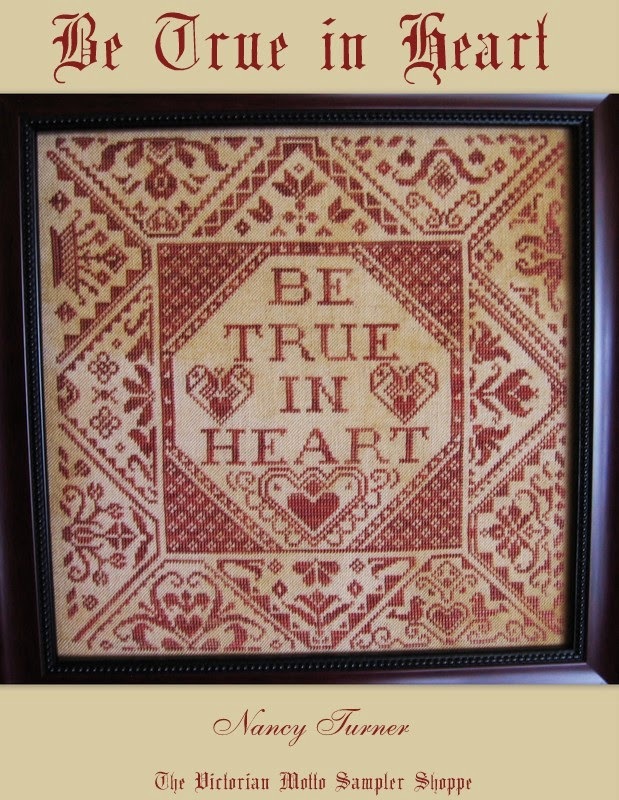 I also have a few charts for some of my most popular motto patterns. Lots to choose from! 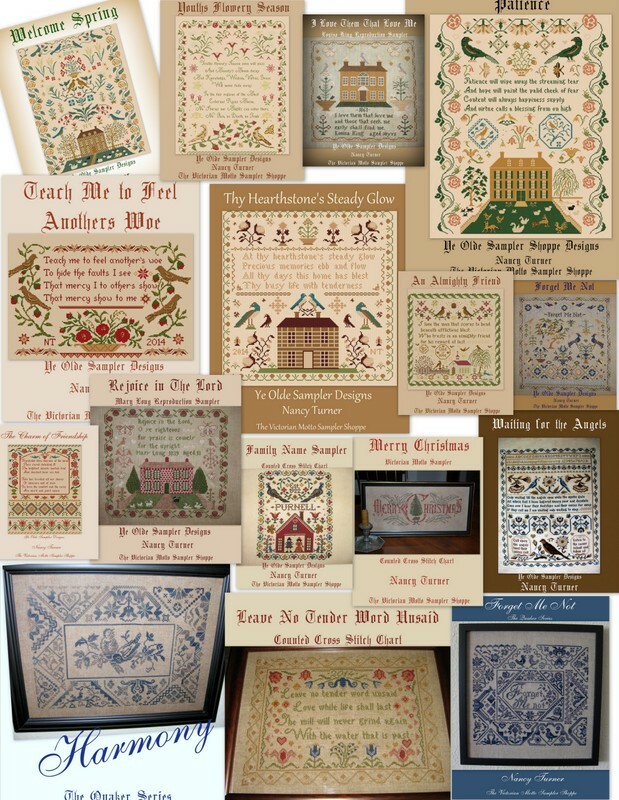 Samplers, Quakers, Halloween, Christmas, Family Name, Friendship Tribute, etc. So lets have some more fun! 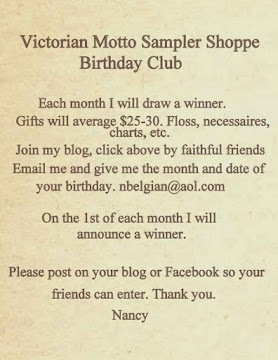 Post on your blog or facebook and get 50 more entries! Drawing to be July 21st. I will draw two names. I ship world wide. Very generous of you as usual!! I would love to be entered please! Another wonderful giveaway. Thank you so much again for the chance to win. What a great giftaway! Thanks for all you share. 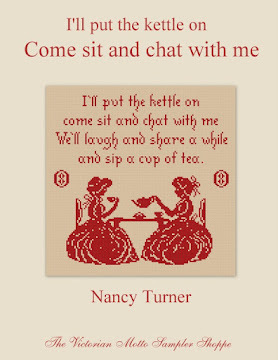 I would love to be entered Nancy. Thank you for your third drawing. This really is like Christmas. I will post on my blog. Same question as always, may I use the picture. Yes you may use the pictures. Good luck on the drawing. What a WONDERFUL give a way and for Christmas in July. That is what I call my birthday, July 25th. All the designs are exquisite!!! 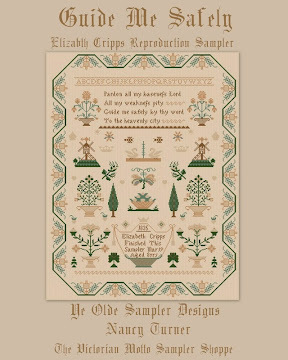 Love all of the samplers. It would be hard to choose. That's for the great give away. 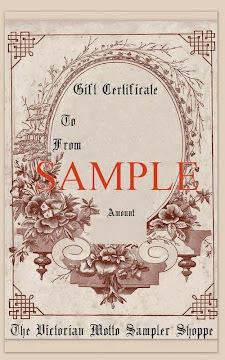 Please enter me in the Sampler drawing. 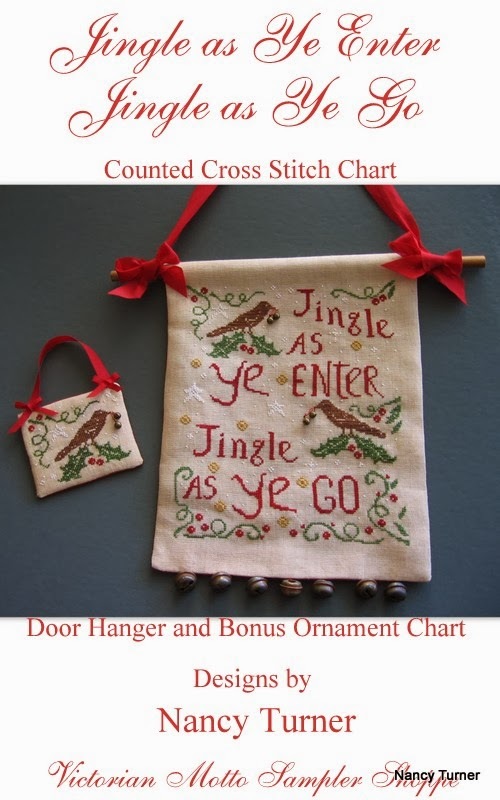 Would love to win "Jingle as Ye Enter..." or "Victorian Merry Christmas" or....so many beauties! Such lovely charts, it would be hard to choose between them! Wow Nancy, you never cease to amaze me!! 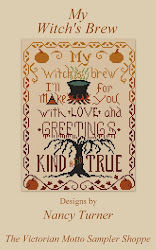 Count me in and I have posted on my blog. 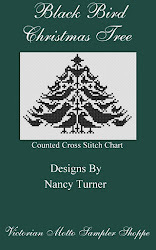 I would love to win any of your patterns. I LOVE your frames. I would be thrilled with any one of them! 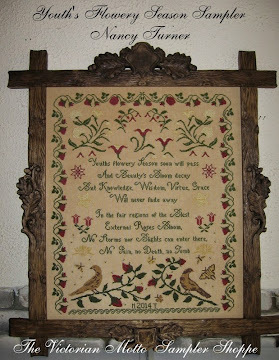 I get so many compliments from people who see my 2 pieces I did with your Wonderful hand carved frames. Every one thinks the frames are vintage which is what I was hoping for. Thanks for the fun. Krissy B. So glad you are enjoying your frames. A lot of people tell me they look antique....mission accomplished! Good luck in the drawing! What a prize! Would love to win! Thanks for the give away! 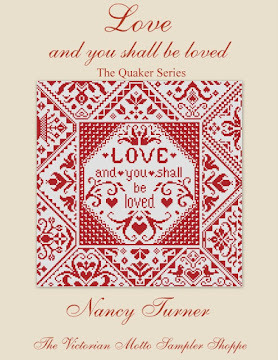 Thanks for another great prize give-away Nancy! Looking forward to the drawings! 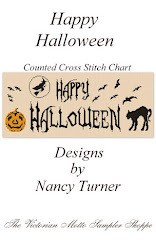 Hi, Nancy, Please enter me in the drawing for a sampler chart! Thank you! Nancy, as always, you are generous! Hope you are feeling better. Thanks for the opportunity! I spread the word via FaceBook! So many great charts! Would love to win one. Thank you for another lovely giveaway. How lovely, I would love to be included. Thank you. Oh I would love to win one... Thank you for having this. 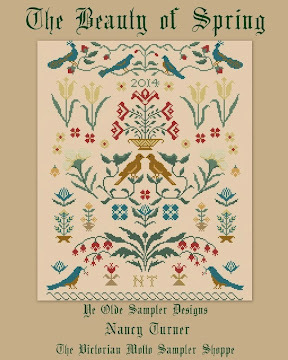 I love all your samplers! Thanks for the chance to win one of your awesome samplers! You know how I love your patterns! Count me in please. I'm sharing on my Facebook now. Thank you for your giveaway! Please enter my name. I'm a follower & I also posted on my facebook page. 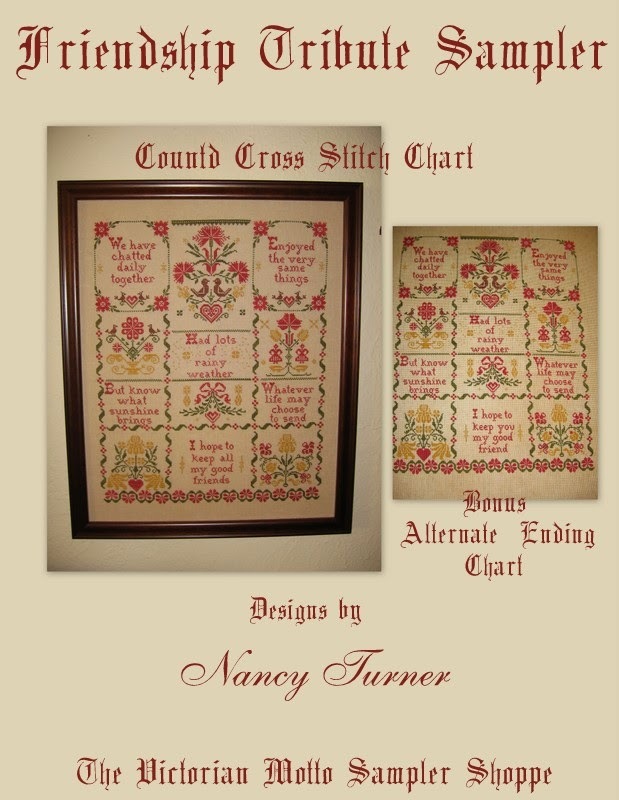 Your charts are so gorgeous Nancy! I would love to be entered, Thank you for the chance. Thank you for the opportunity to win! I follow and I re-posted on my FB page. 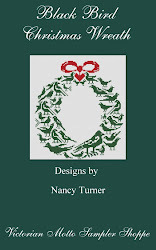 Another great Christmas in July giveaway from Summer Santa Nancy! Thanks so much! Thanks again for another great and generous giveaway!! Posting to Facebook. Thank you for the giveaway. You're very generous. Thanks again for another great give away. Will share on my blog. 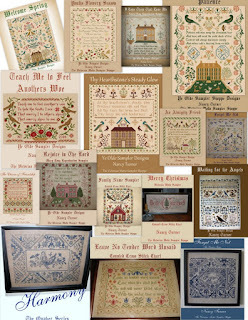 Nancy you have so many beautiful samplers that if I were to win it would be a hard choice! I would love to win! I have had my eye on the "I will always kiss you goodnight" or maybe the "Leave no tender word unsaid" ......oh wait, there's "an almighty Friend".....I can't decide! Choices,choices how would I choose!I'm sure I could find a way! 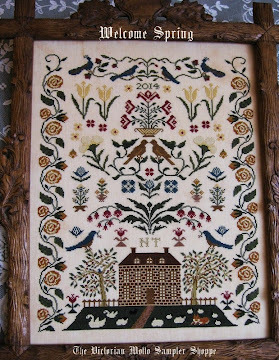 Just looking at the samplers in your awesome frames is a treat to the senses. Thank you lots! I would love to be the winner of one of your charts. 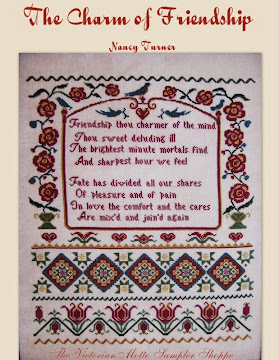 Your samplers are wonderful. 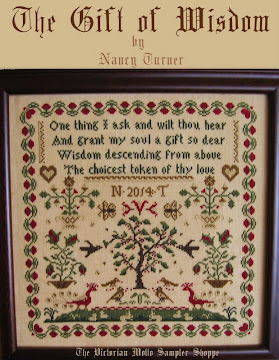 Thanks, Nancy P.
I would love to have one of those beautiful samplers!!! Thank you for the opportunity!!!!! Your samplers are all beautiful! I'd love to win - it would be hard to choose just one! Count me in! Ich habe gerade Deinen schönen blog entdeckt und bleibe gleich hier. So schöne Muster und auch gleich eine Verlosung. Ob ich gewinne ? Das wäre schön, Weihnachten im Sommer. Nice to meet you Kathe. Thank you for following and entering the give-away. Good luck! Beautiful charts! Thanks for your generosity. Thanks so much. Please enter me for a chart. 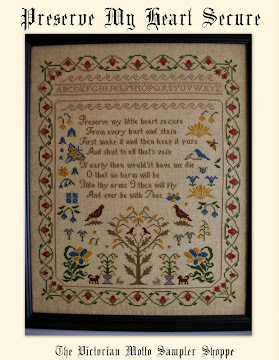 Beautiful samplers! Thanks for the opportunity. I love these samplers! The more birds, the better!!! 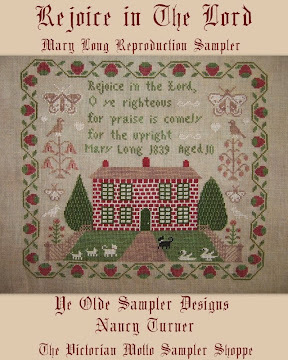 It would be hard to choose from all the lovely samplers. Thank you for the chance, Nancy. 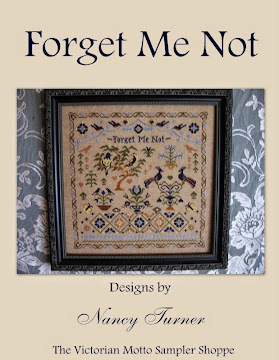 I'm a follower and just posted about the contest to my FB page and blog. 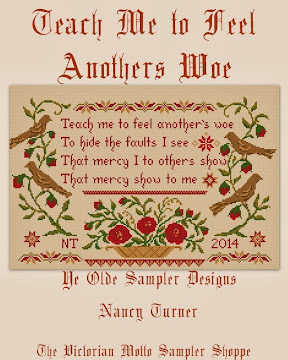 Beautiful samplers Nancy. Please enter me! I´ve just posted on my FB page and blog. I follow you on The Old Reader - hope that will count! Please include me in your drawing, your samplers are all so lovely! Thank you! 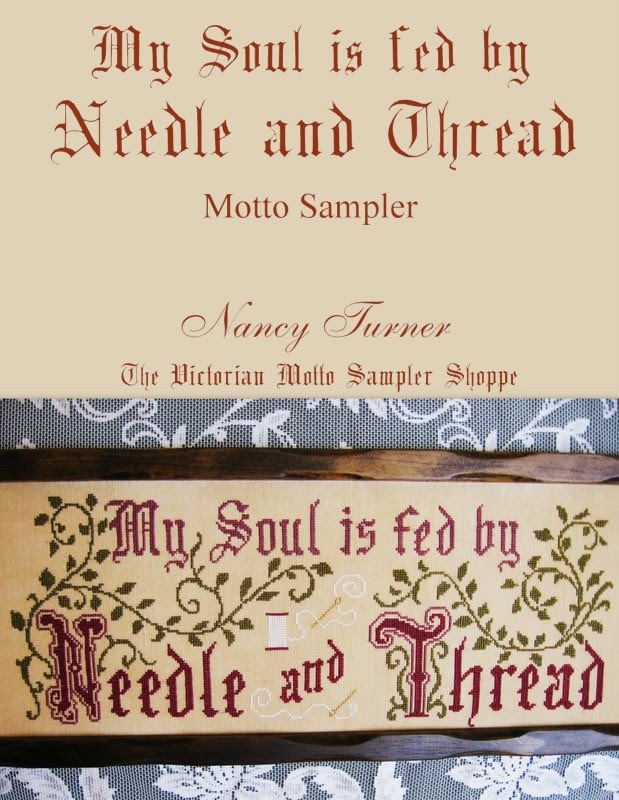 Hi Nancy, I love your samplers and would love to win one of those! I hope you are doing well! I follow by Faithful Friends and shared on facebook. I love the samplers. Oh my! 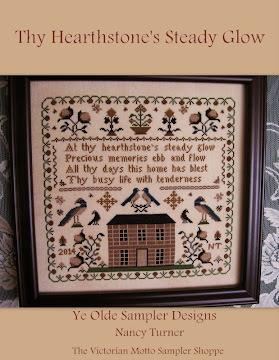 Who wouldn't want to receive a new sampler of yours to stitch??!!! 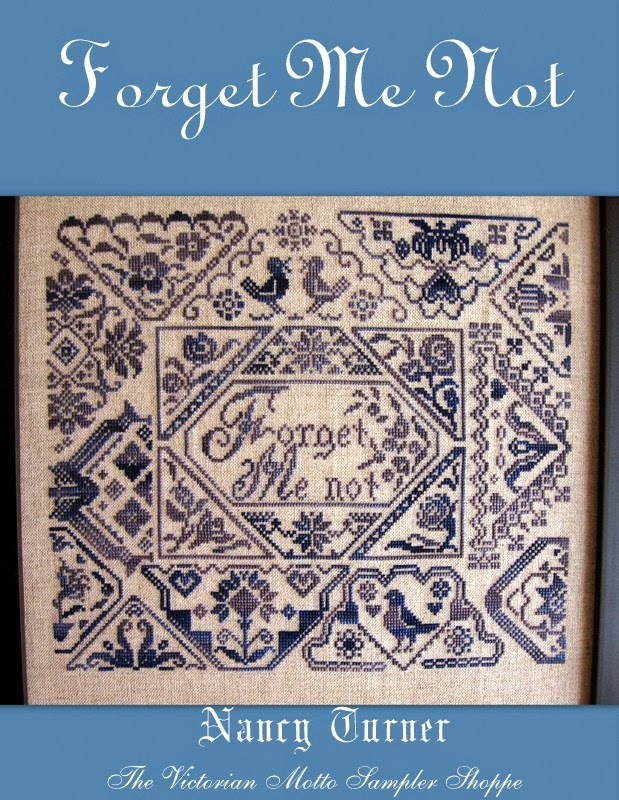 Please enter me into your contest hon!!! Thanks for another great prize give-away. Such a hard choice to make, your samplers are so beautiful. Please enter me in your drawing. It would be a tough choice but I hope to win so I have to make it! LOL! Thank you for such great giveaways. Thank you so much for another generous giveaway please enter me! Hope your feeling better these days! It would definitely be a tough choice because I love so many of your patterns. Nancy It's so amazing that you continue to do these wonderful give a ways when there are days that are not so good @ times. It shows that you have a BIG heart and enjoy sharing with others. Thank You for the chance to win a great prize package again. Your samplers are so beautiful. I would love to win one but I know it would be hard to choose. Great give a way. Thanks for the chance to win! Deciding on just one sampler would be the hardest part. You create such lovely patterns. 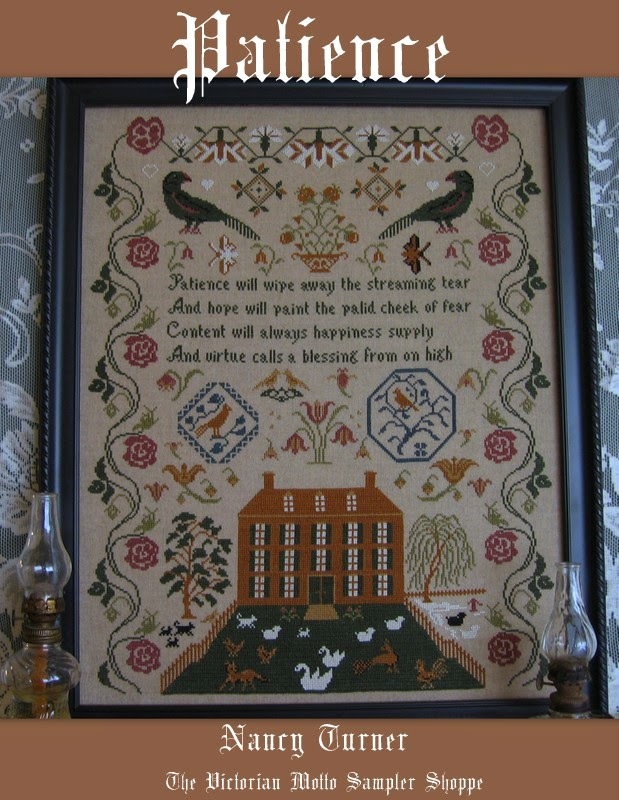 Making a decision is going to be delightful torture for some lucky Stitchers. Please enter me. I will post again when I add a link on my blog. All are very pretty!! Whoever wins will be the lucky one indeed! Thank you for a chance to win a lovely prize! 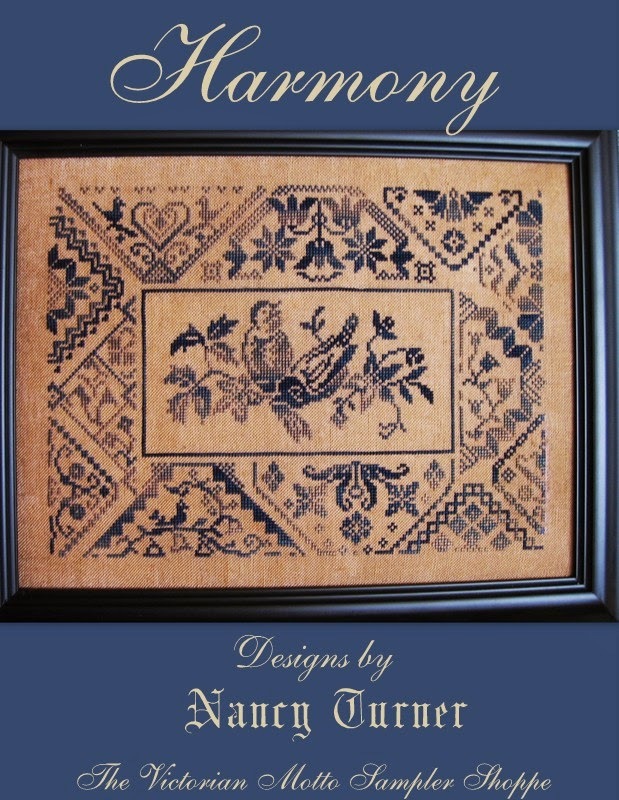 Thank you Nancy for a chance at this wonderful give-away! I am indeed a follower...please enter me! 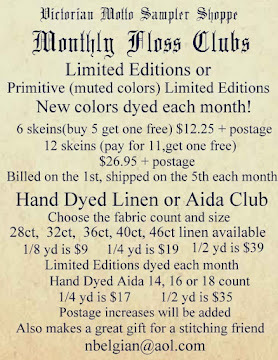 Your samplers are stunning! Fingers crossed! What a fun place to shop. I would love to have the opportunity. 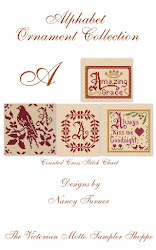 Beautiful Samplers, It will be hard to choose if I win! Please enter me in your drawing. The samplers are beautiful. I am a follower. Thank you for the chance to choose one of your lovely designs!